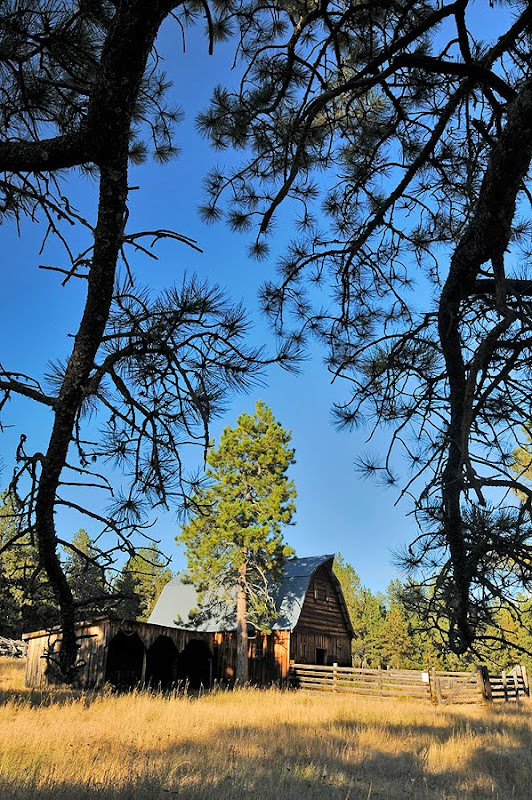 Meeker Ranch's rustic 1887 buildings and serene Black Hills setting proved to be very popular with photographers during the recent Black Hills Photo Shootout. I promised to give a full description and directions here. 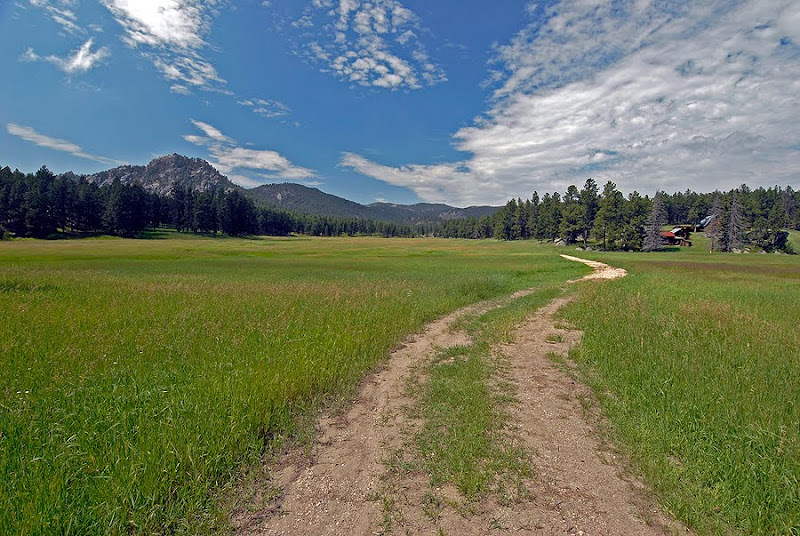 Finding the ranch just east of Custer is relatively easy with a few directions. Thanks to reader and Black Hills Photo Club member Anne Lechette who pointed out I needed better directions here. In Custer head east on Main Street/Mount Rushmore Road to Sylvan Lake Road just past the dinosaur statues at Ken's Minerals. Turn left on Sylvan Lake Road, go uphill approximatley 1/2 mile to Willow Creek Road. Turn right and follow gravel road to the Forest Service gate and park there. For those who use GPS, the coordinates are 43˚ 48.250’ North 103˚ 33.325’ West. After parking at the Forest Service gate, you will hike about 1/2 mile to the ranch buildings. There is a ranch house, large barn, bunkhouse and several sheds. My favorite is the barn, which is apparently much newer than the other buildings and still in relatively great shape. One of the great things is that you can go inside the buildings, as long as you are careful and don't attempt to climb into upper floors. 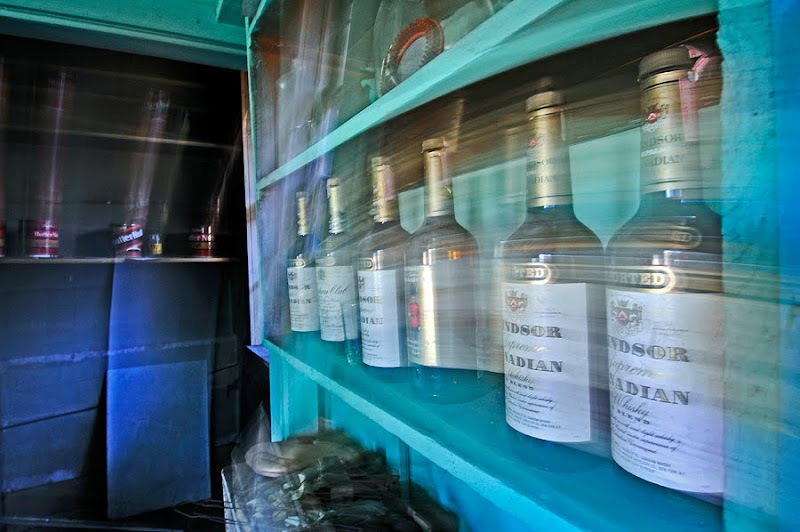 Artifacts from the inhabitants of the ranch are still there - on shelves and in closets. I played around with a few techniques while shooting the antiques. This curtain was blowing in and out with the breeze, so I used a slow shutter speed to give it a bit of motion blur and added a texture filter in Photoshop later. The blur in this shot from the kitchen was actually unintentional. After I had started a 5 second exposure I changed my mind and started to pick up my tripod. The result gave a sharp image of the bottles on the shelf with a "ghostly" blur. At times the light streaming in through windows really enhances that vintage feel. If you haven't already visited Meeker Ranch, I hope this gives you the itch. Please be respectful of the history and don't disturb or destroy any artifacts, but enjoy! More history of the ranch is available here. 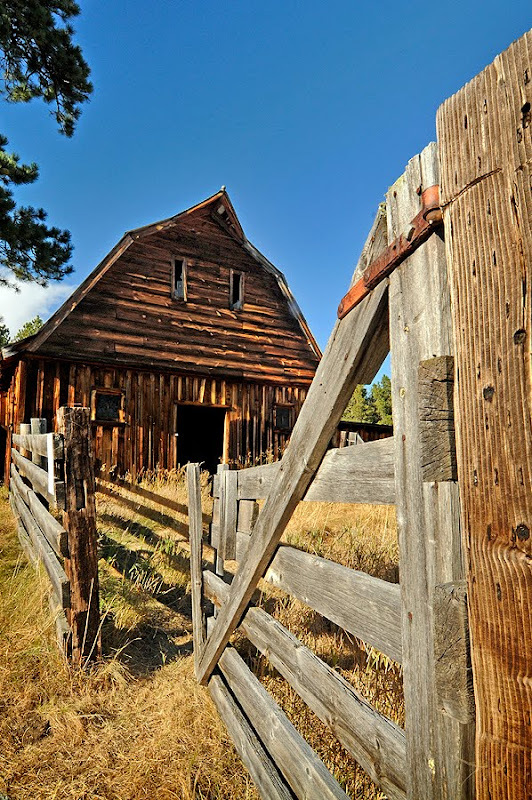 Read about the ongoing preservation efforts at Meeker Ranch here. Good stuff, chad. 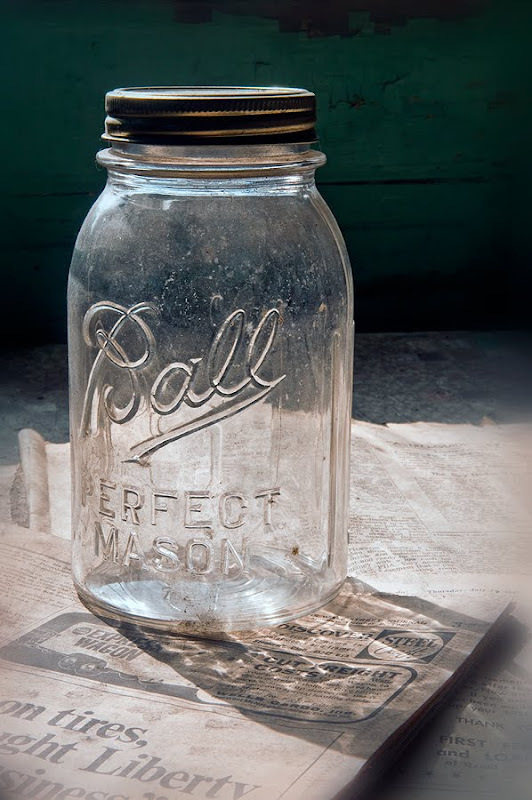 I especially like the window and the jar shots. Also, thanks for publishing this web site. I don't know if you are ever looking for guest writers, but I'd be happy to contribute. 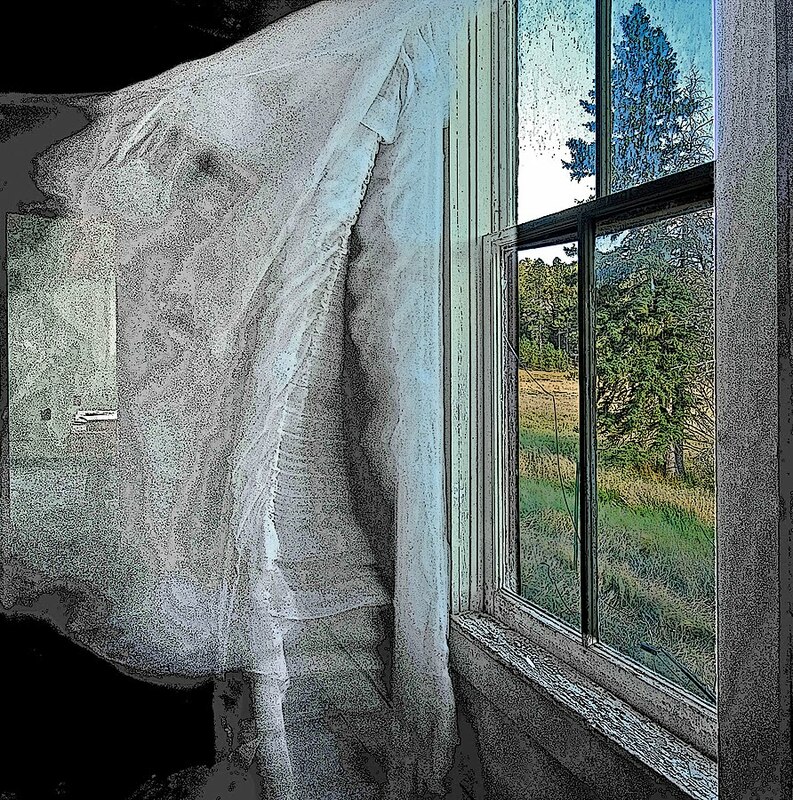 Chad - I just came across your blog about Meeker Ranch. Is it still open for photo opportunities? 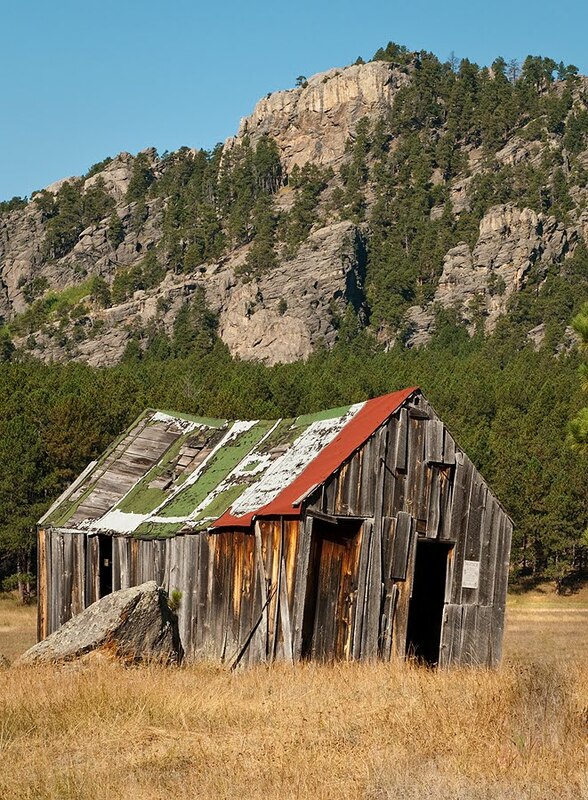 Yes, Meeker Ranch is available for photos whenever you'd like to hike to it thanks to the efforts of those who saved it. Thanks Chad! Plan on checking it out in a couple of weeks. We hiked up to Meeker Ranch over Labor Day weekend. Not even a mile hike! HistoriCorps wasn't working so we were the only people up there. Well worth the trip!!! Photo ops everywhere! I'm glad they're preserving it but I hate the thought of making it more public. Beautiful! !